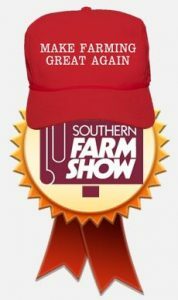 Falcon Making Farming Great Again…™ at the Southern Farm Show! Have you heard?! Falcon Soil Technologies will be making farming great again at the Southern Farm Show in Raleigh, North Carolina, February 1st-3rd! Come by booth 1315 and see how the Falcon is making farming great again!